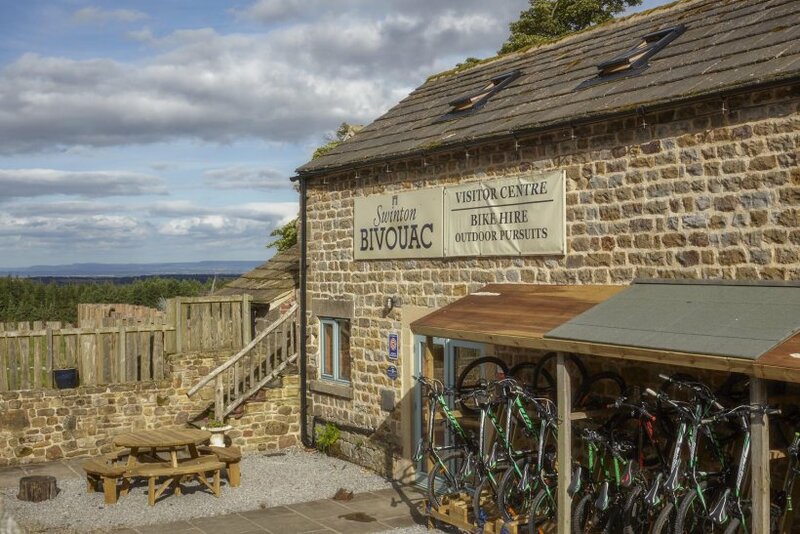 The Bivouac at High Knowle, in North Yorkshire won the Ripon Civic Society Best Conservation & Sustainability Award and the Helen Whitehead Award for Overall Best Project, situated within an Area of Outstanding Natural Beauty. 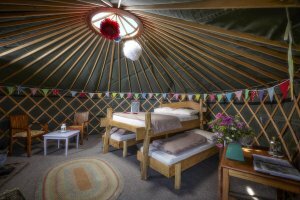 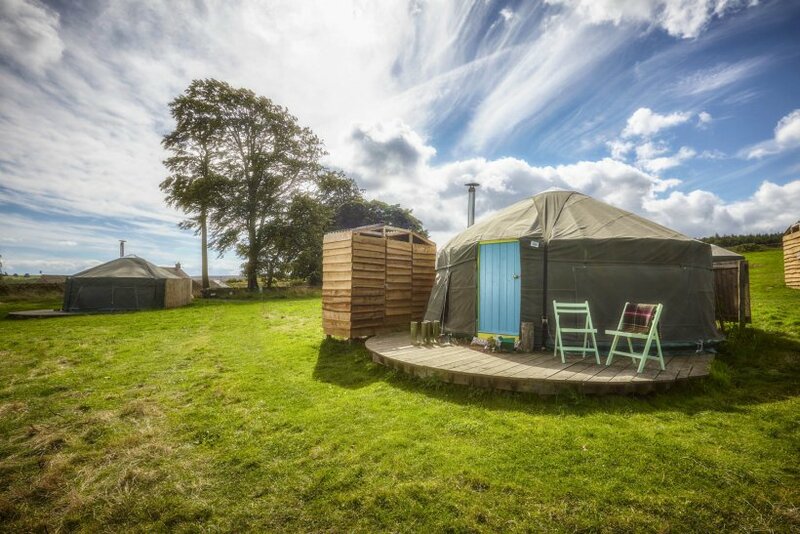 It was an eco-tourism project that was created from the conversion of derelict barns and the provision of new timber cabins and yurts. 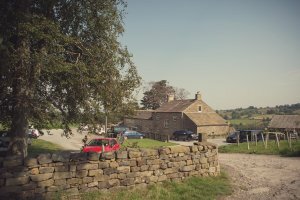 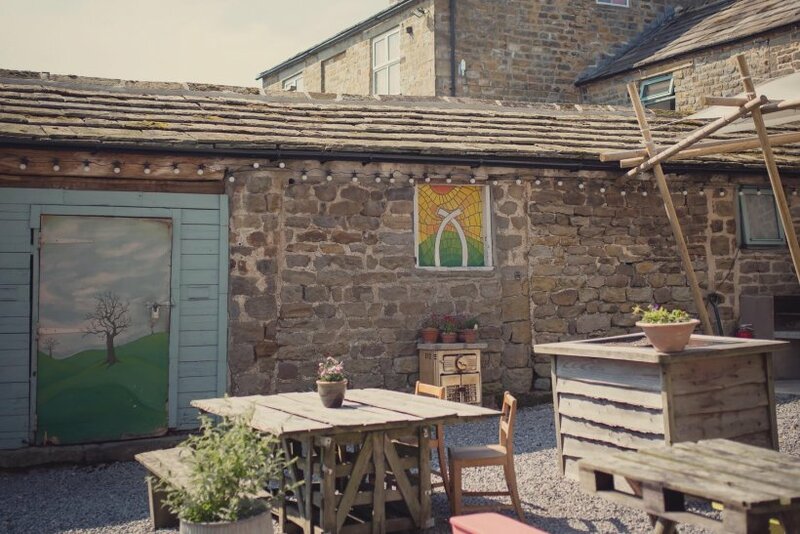 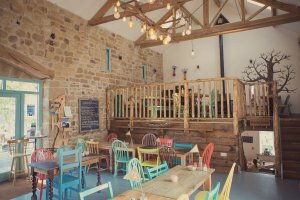 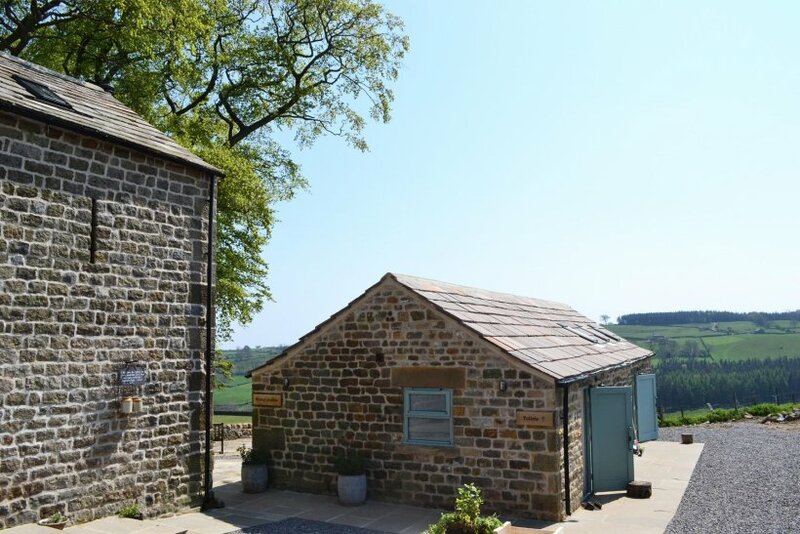 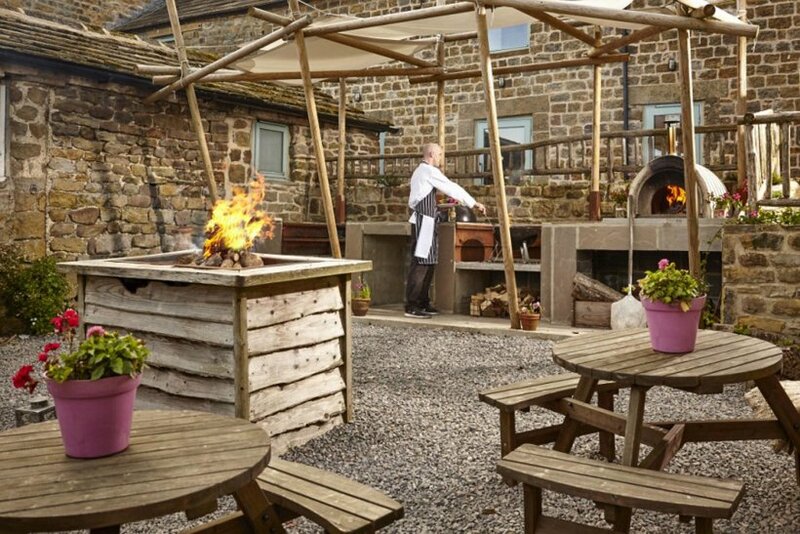 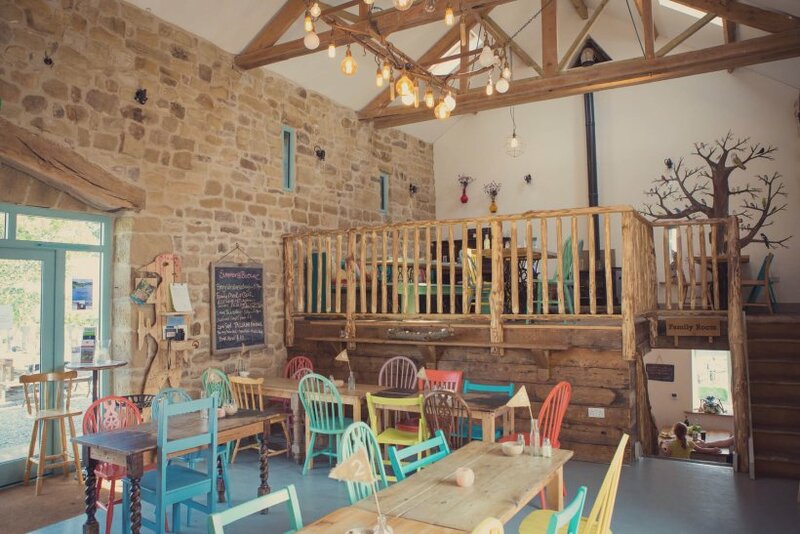 Native converted and renovated the old barns to create a new cafe, camping barn, gift shop, communal washing facilities, and a dining space to support the yurt camping and timber lodge facilities that were developed on the site. As part of the brief it was crucial that we considered every aspect of the buildings’ fabric to reduce energy use. 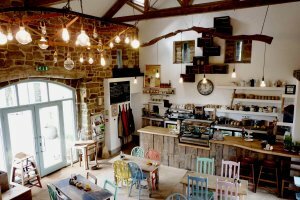 As much wood as possible was locally sourced; timber species were selected for their weather resistant properties to avoid chemical treatment, fresh water is supplied by a spring and grey water is recycled, with all waste water passed through a reed-bed to a soak-away meaning that not only is a septic tank avoided, but biodiversity is increased. 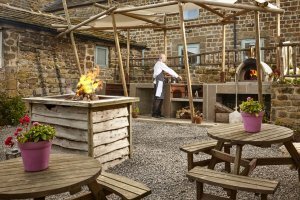 A wood chip fuelled boiler was used to heat the facilities and generate hot water. Today the tree lodge and glamping retreat is successfully supporting the local, rural economy. To complete the picture, the project is close to a footpath and cycleway, so many vistors don’t need to arrive by car.